Obituary for Carolina "Carol" LETASY | Cherished Memories Funeral Services Ltd.
Carol was born in Michel, BC on September 25, 1926 to Argentina and Napoli Moras. Her father passed away when she was young, and her mother remarried to Joseph Facca, who raised her and her sister Yola as if they were his own. She was then blessed with her sister, Polly and her brother Alfred (Fred). Carol met the love of her life, Peter Letasy, and they were married in November of 1948. They had four children; Tina (Jack), Dennis (Kathy), Raymond (Wendy) and Karrie (Eirik). Carol always kept abreast of the changes and growth of her ten grandchildren and nine great-grandchildren, as well as many nieces and nephews. She was always very proud of her family and loved to hear of all their accomplishments and activities. She always looked forward to her weekly card night with her sister and best friend, Polly, and brother-in-law Jack, which regularly included a phone conversation with her sister-in-law Pam. Carol was a devoted wife, mother, sister, sister-in-law, Nan (Nanny to her great-grandchildren) and friend to many. She was an active member of the CWL and just received her 65 year service pin this summer. 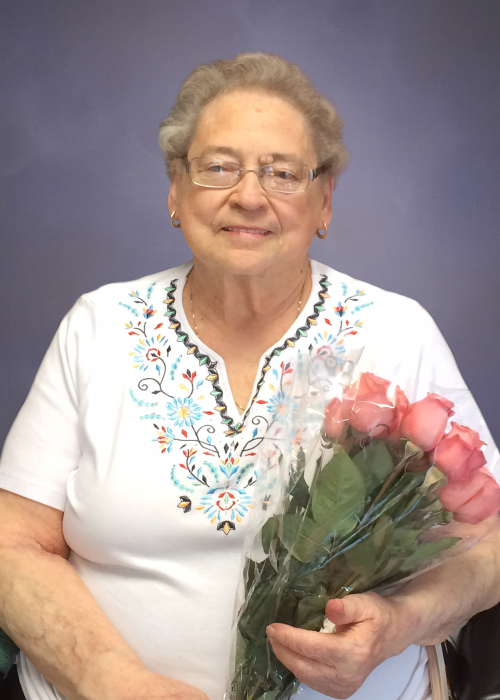 Carol was a loyal and dedicated resident of Lilac Terrace, where she was a confidante to many, and was proud of their involvement with community and was excited to participate in many of their activities, especially daily card games which included her brother-in-law Donnie. She was an excellent cook and baker, and her family always looked forward to tasting it all, and are still trying to make them as good as she could! Carol was predeceased by her loving, devoted husband Peter, her mother, Argentina Facca, as well as her father, Napoli Moras, and her stepfather Joseph Facca. She was also predeceased by her sister Yolanda Gawryletz and her brother Fred Facca and numerous brother and sister-in-laws. Carol passed away peacefully surrounded by family at the Elk Valley Hospital on Monday, September 10, 2018. Those wishing may make donations in memory of Carol to Lilac Terrace, PO Box 1587, Sparwood, BC V0B 2G0.